Anime films are not only a big hit in Japan and in the Philippines, even in the western countries like the United States as well. One of the most recent anime feature films that caught a lot of anime and non-anime loving movie watchers attention around the globe was the one called "Your Name", created by Makoto Shinkai in collaboration with CoMix Wave Films. It appears that Netflix is well aware of how successful Your Name was and that many fans from around the world wanted to get at least the same touch and feels they felt watching Your Name. And perhaps that is one of the main reasons why the streaming giant tapped the same studios to develop and launch this stunningly illustrated anime movie titled Flavors of Youth. Watch the trailer below. 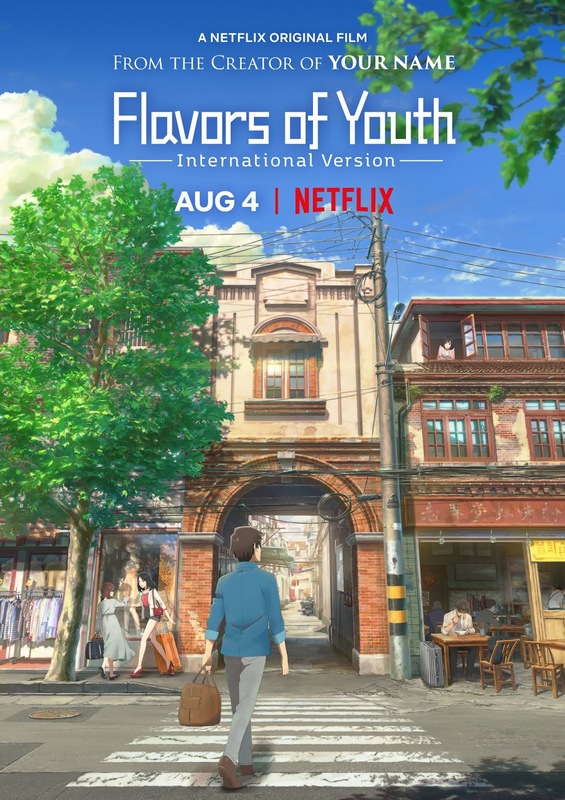 From CoMix Wave Films, the creative visionaries behind the international phenomenon Your Name, comes Netflix's new anime feature film Flavors of Youth. Told in three chapters in three cities, Flavors of Youth explores the simple joys of life through sensual memories and how the heart of love cannot be defeated by the flow of time. In addition to its Netflix global release which is scheduled to happen on August 4, 2018, the anime will also have a world premiere screening at Anime Expo in Los Angeles on July 6th as well as a limited theatrical release in Japan on August 4th under a title of Shikioriori (Poem of Seasons Woven Together).